When you look in my coat closet, I think there are about two empty hangers, four of Jeff's coats, and two hundred of mine. Okay, that may be a slight exaggeration, but it is basically exploding. The thing is, when you live in Chicago and have to go through our crazy weather patterns, it makes you feel like you need every coat under the sun. I went all through college and a few years living in Chicago without a raincoat, and really, I don't know how I survived. Rain in Chicago always seems to be blowing sideways, so unless you have an intense golf umbrella you're still getting wet. Enter the raincoat. Look for something lightweight so you can wear it in warm weather, and then layer up for chilly fall days. A field jacket is one of those coats that you can throw on over anything and look put together - your gym clothes, leggings and a tee shirt, or you know, your pajamas if need be :) I'm on the hunt for a new one because the jacket pictured above has some faux leather that sticks to my neck. I'm looking for a coat that is lightweight and cinches at the waist for a more flattering fit. I have my fingers crossed right now that denim jackets stay in style forever, because they're another super versatile piece. I'm loving them right now over dresses for chilly fall mornings, or with joggers and sneakers for a little athleisure look. Denim jackets and utility jackets are great because of their versatility, but when it comes to picking a coat for going out at night or for wearing to work, a moto jacket is your best bet. They toughen up anything you throw them over, and make you look instantly more pulled-together. 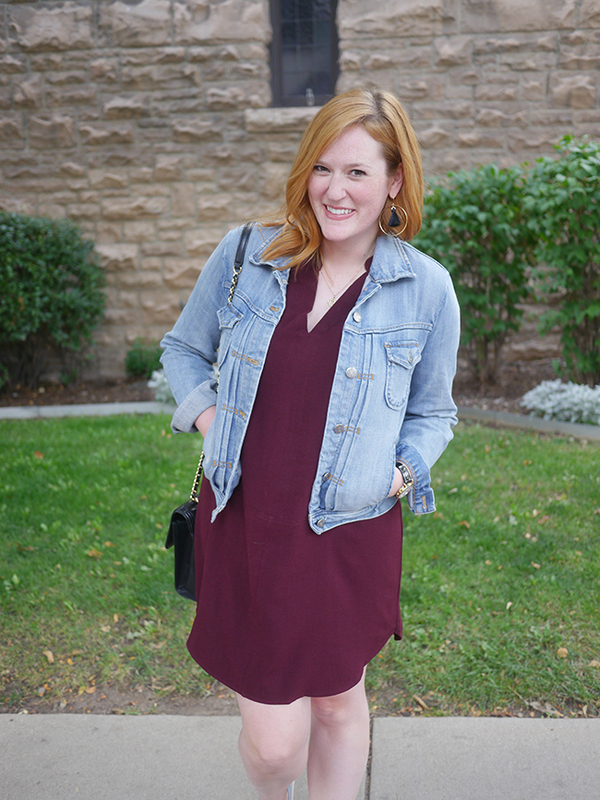 For larger-chested gals like myself, look for an asymmetric cut - it's amazingly flattering! So tell me - are you a fellow coat-addict? What's your favorite style?